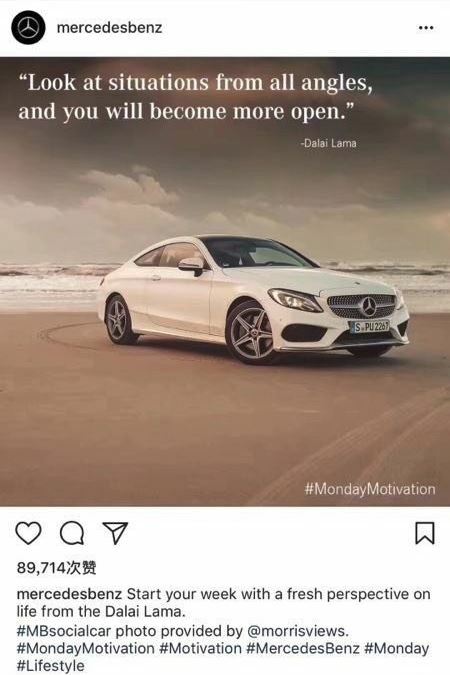 Despite the platform being blocked in China, Mercedes-Benz has drawn the ire of Chinese consumers after uploading a photo of one of their signature cars to Instagram, overlaid with the text “Look at the situations from all angles, and you will become more open,” – a quote from the Dalai Lama, whom the government has exiled officially considers a separatist. 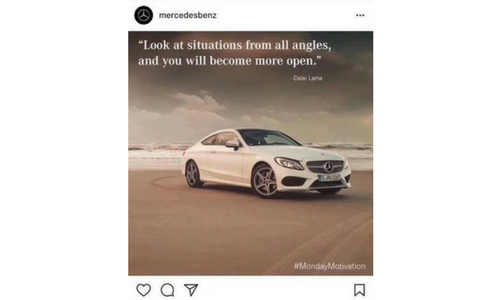 Angered netizens took to social media to express their discontent with the brand, and Mercedes-Benz immediately removed the post from its account, followed by a lengthy apology on social platform Weibo. “This morning, we are aware of our international social media account sharing some extremely wrong information, and we are here to apologise sincerely,” the statement on Weibo reads. “Although we tried to remove the related message immediately, we understand it may have offended the feelings of Chinese people, including our colleagues in China, and we apologise again. A number of other brands have recently gotten into trouble over political insensitivity, including Marriott, Delta Airlines and Zara.